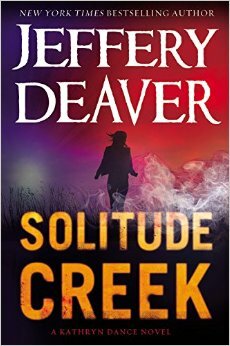 As a fan of Jeffery Deaver, and especially Lincoln Rhyme, this book did not disappoint. Deaver does an excellent job keeping the truth of the who and why of strange kidnappings until near the end. Moving Rhyme and his team from New York to Italy made this a fresh read. Weaving politics, refugees, and nationalism into the story kept me turning the pages. Although the outcome is predictable, the ride getting there was pleasurable. There was just enough of a twist to offset the knowledge that Rhyme would solve the case, as always. The introduction of Ercole Benelli, an Italian forestry officer, who gets caught up in the story, was a nice touch. Deaver seemed to be in his element, as the story is well written. The only negative is near the end when Rhyme proves he is smarter than the “intelligence” service, the mistake he points out is one they would not have made. Jeffery Deaver is at his best when writing a Lincoln Rhyme novel. Unfortunately, his best, lately, is not great. 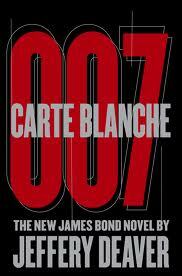 Relying on the same tension between characters and a formuliac style can get boring to read. In The Steel Kiss, Deaver takes this approach and produces a mediocre novel. Sadly, he also brings one of his threads to a close by essentially tricking the reader, which is a Writing 101 mistake. If this were not bad enough, the side story (can’t divulge or this would be a spoiler) and motivation of Ron Pulaski, a side character, is completely unbelievable. To Deaver’s credit there is one twist I did not see coming and that kept this novel from getting a one star. The only fresh aspect to this story was the introduction of Juliette Archer, who becomes an intern to Rhyme and is a character I would like to see in future novels. The forensic skills accredited to Lincoln Rhyme have usually been the highlight of books in this series, this time his deductions stretch believability and I am sure made Sherlock Holmes roll over in his grave. Being a fan of Jeffery Deaver and the character Kathyrn Dance, I was looking forward to reading this novel. is it possible to love and hate a book at the same time? The style of this book makes it a good read. Nothing is what it seems to be and without giving anything away, the subplots become pointers to what the complete story is about. The twists and turns keep you guessing and at the end I wanted to go back and reread the book to see if it still held up. The style of this book makes it a bad read. Nothing is what it seems to be and it becomes predictable that what you are reading is not what is actually true. This method of telling a story would have worked better if it had not been overused. Kathryn Dance is both amazing and frustrating. She is a strong character with the ability to detect lies and feelings from body language. She is frustrating because she has to notice the smell of every man she encounters. The antagonist, Antioch March, is both scary and unbelievable. Scary in that there are people who enjoy watching others suffer, unbelievable in that he makes too many mistakes that get him caught. This book is good for the description of Monterey and the surrounding area. Since I live there, it was interesting to see what areas Deaver used as settings. This book is bad for the description of Monterey and the surrounding area. For someone who seemed to know the location, Deaver blew it in describing the water. He said that the water temperature was such that a man would only last four or five minutes before hypothermia set in. Tell that to all the swimmers who spend the day in the water here. He even contradicts himself when a woman is struggling in the water, who can’t swim, has a broken arm, yet is still alive when the Coast Guard finally reaches her. While Deaver keeps us guessing and tests our intelligence with the twists and turns, he insults the reader by repeating things we already know. He tells us three times that someone is checking out a possible witness to one of the crimes, as if we would have forgotten. Moments of brilliance, moments of bad writing. I stand in the middle of loving and hating this book. This one gets three stars.